Press Release – Nevada City, CA April 2018 – ToneDexter is an innovative professional grade preamp that improves the sound of an acoustic instrument pickup. It can learn the difference between how an instrument sounds through a microphone and how it sounds through a pickup, and correct the pickup sound so it sounds more like a mic, using patented WaveMap® technology. Store different mic positions, different mics and different instrument WaveMap sounds for easy recall, plus ToneDexter includes features for reducing feedback in live situations. The Character control now allows the ToneDexter processed full body mic sound to be blended with the more aggressive raw pickup sound. Improvements have also been made to the Bass (BAS) version tuner, WaveMap Cut and Paste features, and level matching between WaveMaps and Bypass. 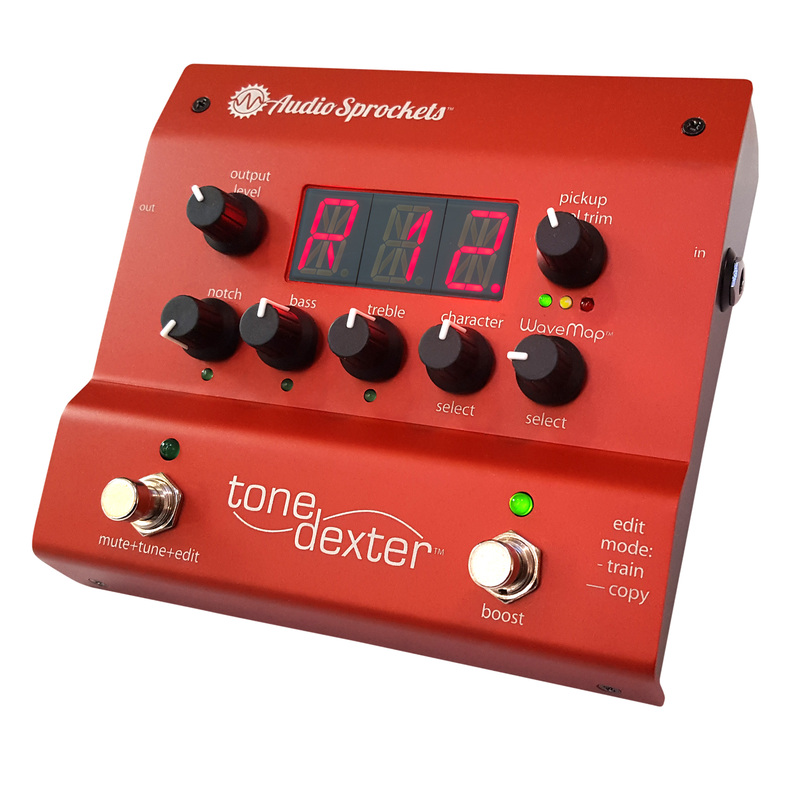 ToneDexter is perfect for live musicians that want the convenience of an acoustic pickup on stage but with the full body sound of a studio mic, plus the added benefit of sophisticated feedback suppression features. ToneDexter can also be used in the studio for players that want to practice and record without having to use a mic, and for re-processing previously recorded DI pickups.